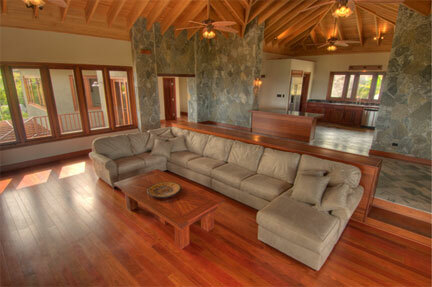 Click here to inquire about BVI Real Estate. Are you entertaining the idea of purchasing some island real estate? There are some things to know before you jump right in. Buying a property here can be quite a journey for those that are unprepared. So do what I did and find yourself a knowledgable real estate agent. I have entertained the idea of purchasing real estate in Tortola. I must say there are so many upsides to buying a home, villa or a condo here. There's perfect weather, wonderful people, ocean views, breathtaking vistas, and white sand beaches. What more could a person ask for! The best part is, you are never more than a mile away from some of the best beaches in the Caribbean. Even if you can't afford a beachfront home, Tortola offers such hilly terrain that there's a good chance your place will have a view to die for. I sure don't see any down side so far! Of course buying Caribbean property isn't always that easy. Especially for those that aren't from the Virgin Islands. In fact there are quite a few laws and regulations to be aware of. That's why its smart to work with a knowledgeable realtor, I highly recommend Chris Smith (contact information below). He will take care of all the hassles and red tape of purchasing for you. Which gives you more limin' time. 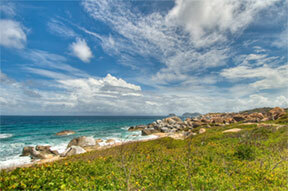 Many are suprised to see that BVI real estate isn't what they first expected. I certainly thought that I could never afford a place on a Caribbean island. I was pleasantly suprised to find out that the prices aren't that much different than you would find of homes in Florida. When I started thinking about what real estate costs here, it started to make sense to me. Tortola isn't really aimed at the high-end traveler, it's more of a casual easy-going atmosphere. The same is true of their real estate prices. Now there are $5 million houses available, but you can find a very nice casual house close to the beach for a few hundred thousand dollars. I would advise you to do is take a look at the map to see exactly where you think you'd like be. If you're looking for something on the beach you will probably want to find something on the Northern coastline. A spectacualar view can be found just about anywhere though. Once you do that use this form below to contact Chris. He'll get you squared away with whatever you need. Many times he knows about properties even before they come to market. How great of an asset is that!